The Aquinas Piano Trio was launched in 2009 and has already performed at the Wigmore Hall, the South Bank and the Barbican. 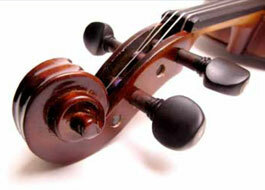 Individually they have won several competitions and have played throughout the world. They have now produced their own CD. 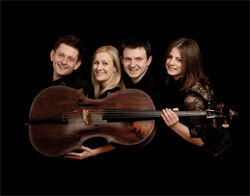 The Brodowski Quartet has since 2005 performed often in London, in the rest of the UK and in Europe. They won the ensemble competition at the Royal Overseas League in 2008. 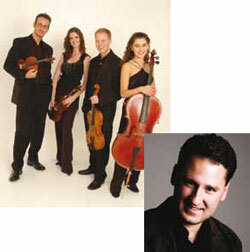 Their Wigmore debut was in 2009 and they are the Quartet in Residence at Bristol University. Vaughan Williams: Quartet No. 1 in G min. Rebecca (clarinet), Suzanne (oboe) and Tamsin (bassoon) are sisters and have played music together since the youngest was 5 years old. 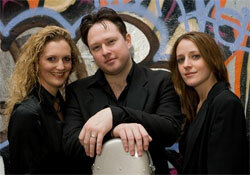 They launched the Rose Trio in 2006 and won the Royal Overseas League ensemble competition in 2010. They are supported by the Countess of Munster Music Trust. Beethoven: Var. on "La ci darem la mano" from “Don Giovanni"
The Carducci Quartet play regularly in London and elsewhere in the UK, as well as abroad. They have their own festival in Gloucestershire, and have many CDs to their name. Libor Novacek, the pianist, has produced some highly acclaimed CDs of Liszt and Brahms. The Arpége Trio was formed in 2000 by musicians of international standing. 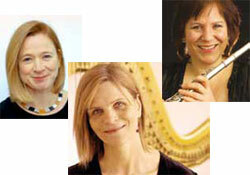 The flautist, Philippa Davies, had her debut at the Proms back in 1977, while the viola player, Louise Williams, has played chamber music at a high standard for many years. The harpist, Christina Rhys, has premiered a number of new commissions and is a music therapist.